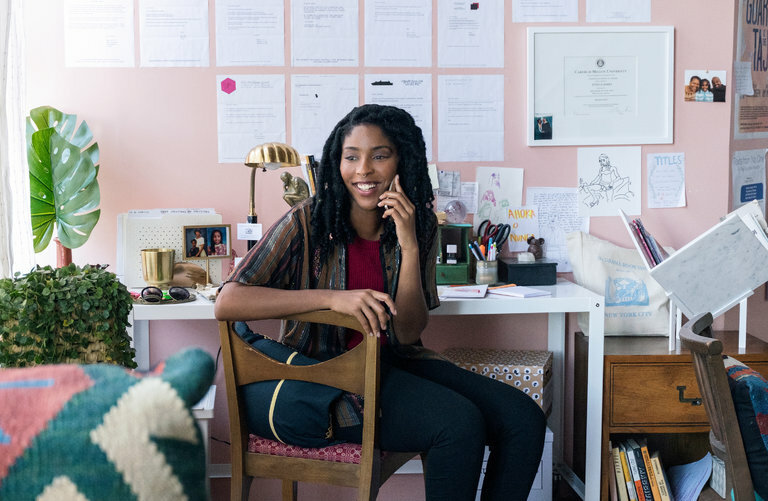 I recently watched The Incredible Jessica James, which was written, produced, and stars the incredible Jessica Williams (if you're unfamiliar, she's half of the titular duo who host the podcast 2 Dope Queens, she was a senior correspondent on The Daily Show, and she's delightful). In the movie, Jessica is a young playwright who is trying to "make it" in NYC's theater scene. She has submitted countless plays to theater companies, hoping to get one on stage. She tacks up her rejection letters on a wall, and it soon covers the whole thing. It's a visual representation of her failures, and a reminded to keep going for her dream. I'm not gonna give the ending away but, it's a feel-good, funny film that I definitely recommend. I got this image by Googling it. It does not belong to me! When it comes to job searching, I've also had my fair share of rejection letters (or, worse yet, no word at all from a company to which I've applied–just silence!). I'm realizing that finding a new avenue for my career is not going to necessarily come quickly and definitely not easily. I need to remember to just continue to persist, improve my portfolio, gain new skills, make new connections, and keep at it. It can be super frustrating, but right now, it's the work I'm focused on: building my rejection letter wall. What's that theory about success? "Fail faster"? I think the idea is that failing is a part of life, it's a part of growing, and it's a part of eventually gaining success. Failing faster is about learning from your mistakes, agilely moving from one failure to the next, and just keep going forward. Right now, that is my goal: to Fail Faster.